David Bain's Blog: Modern Plone Practices Poster now translated! The Blog formerly known as "Flight of the Pigeon". A lot of Web, Plone and Python, with other occasional topics such as education and running. Modern Plone Practices Poster now translated! 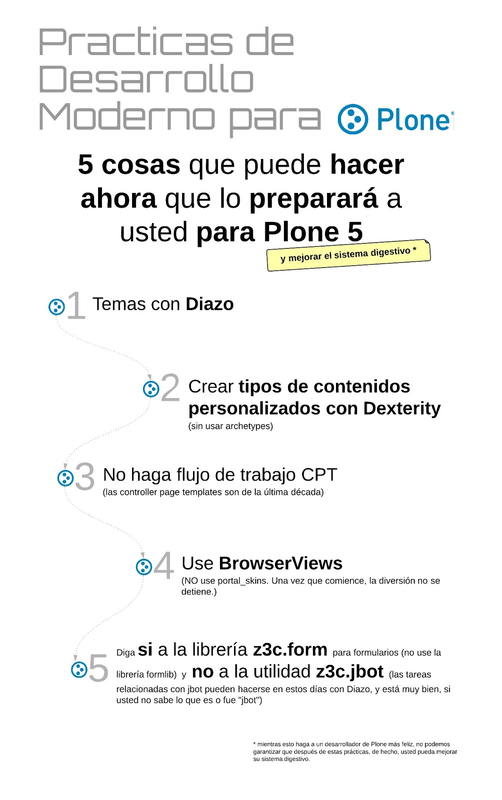 Since my post this morning about Modern Plone Practices, I was contacted by +Leonardo J. Caballero G., he volunteered to translate the poster into Spanish. So now we have a Spanish version. If you want to translate it into another language let me know and I'll send you an invite to the LucidChart source file. Print quality versions are available too.